Look at people on the street. Browse through magazines. If you see something that appeals to you, clip it. Keep in mind your hair’s natural texture and color and the shape of your face. Talk to your hairdresser. Even though you’re not a stylist, you can still explain what you’re thinking. Describe yourself, what you do, how much time you spend on your hair, and the look you’re after. Have a conversation and see what your stylist suggests. Ask questions. How he responds is key. Does he believe in natural looks or dramatic changes? Are his opinions about hair design similar to yours? Most importantly, is he willing to work with you to meet your needs? If you don’t agree, say so. It is possible to disagree in a positive way, in a way that doesn’t alienate your stylist. After all, you’re the client and you should get what you want! Ask all the questions you want, but remember, it’s your image and your choice. You’re the one who will be wearing the style for the next six weeks, every minute, until your next visit. If you come to see Dave, you make the final call. Observe how the cut is progressing. The execution should be according to the plan you discussed beforehand. If not, speak up. Don’t wait until after it’s too late and you’re not satisfied. 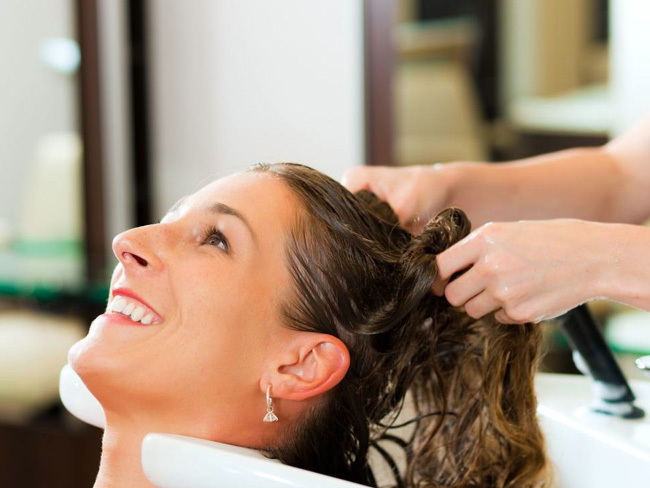 Then watch the blowout and see how your hairdresser styles your hair. Is the finished product something you can repeat by yourself? Ask the hairdresser to explain the styling process to you. What products were used? The important thing here is to understand how to maintain the look. If you discover a legitimate mistake, tell your hairdresser. Is he annoyed? Does he try to blame you? If so, you’re in the wrong salon. Dave Groshen wants to hear your problems because it’s the only way he can address them. And of course everyone likes to hear “Thank you” for a job well done! He wants to talk because he believes in the equity of relationships. In other words, over time, Dave gets a loyal client and you get better haircuts!